For a few episodes, I have thought this unplanned tale would take me to a feature of fellow blogger, Dan Antion. His blog has a number of fun features throughout the week, notably Thursday Doors. Now and then he also does posts about trains or trolleys. Many times I see a story in one of the pictures. Dan graciously gave me permission to use some of the door and trolley photos from his posts. The pantser story kept causing me to mention the character Dan named, leading up to who knew what. Now I’m finally featuring him. It carries over to the following episode as well. However, even then, I’m not sure if I’ve finished with the doors thing. (Dan can tell you that “Doors” can come to have a strong effect on people.) If you think the uncertainty of where I’m going is enough to drive me nuts… Let’s just say that it was a short trip. Need to Catch-up? Last weekend I interrupted this serial to announce my latest novel, Murder at the Bijou — Three Ingredients I. My heartfelt thanks again to everyone who so generously participated in the book launch! ❤ Anyhow, I realize you might need to refresh your memory so here are some links. Episode 6 and Links to all past episodes. This time Bedlam Thunder meets a new character from the other faery-verse. She’s not quite sure what to make of him, but I have a hunch that he might have another part to play in this serial. I’m just not sure precisely what, or when. When we left Bedlam last time, the counterpart of Catseye Glimmer — Royal Chimera, warned her to leave right away. Then three glowing doors appeared. When she entered one, I wasn’t so sure how well that was working out for her. So let’s get on with Episode-7 right now. It was neither hot nor cold, but in a state near panic I began to sweat. Was it reality or a horrible dream of being blind and deaf? Royal Chimera’s warning was strongly in my mind. How did he expect me to leave when I didn’t know how I had gotten there? I didn’t know, except that I followed the sandhill cranes. Then three doors, glowing with blue light had appeared. Had I left that place at all? The darkness in which I found myself seemed like it should be part of that bleak world. One thing seemed sure, I had somehow left Thistledown. I exhaled a trembling breath. Tiny sounds of my clothes rustling told me I was not deaf. Although my ears had the unpleasant, stopped-up sensation of being underwater. I shook my head and stretched my jaw, trying to make the feeling go away. My eyes became adjusted to the dark, and I found that things were more gray than black. I spotted a dim light and cautiously moved toward it. I reached the source of the un-dark. That’s how I thought of it, since it wasn’t exactly light. It reminded me of the reflection pool, but it stood upright. I extended a hand and touched a cool gemstone surface. On closer inspection I thought it must be obsidian. Yet rather than any color I knew the gem to be, it was pale grayish yellow. It gave off a diffused glow. As I gazed at it, my eye muscles twitched, as if they tried to cross. I blinked and an image formed. It was of the tall stone wall where I last saw Poppy Songbird minding the powderpuff sheep. Wind gusted, just as it had when I left to deliver that message for Poppy. A twinge of guilt came to me. I hadn’t delivered the message yet. The view went upward, over the wall. Poppy was there coaxing the sheep toward the enclosure. One animal lagged behind. Suddenly the wind touched it just right, and the sheep lifted into the air. The gust took the sheep so quickly that I gasped. Poppy darted into the sky after the sheep. Soon she sat astride the accidentally wayward animal. It bleated in a way that suggested relief, though they were still airborne. By appearances, Poppy rode a flying sheep. However, the powderpuffs had no control over their flight. It was Poppy who controlled the flying. Her flower-shaped spectacles were askew, but Poppy held the sheep tightly as her wings fluttered furiously. Eventually, Poppy and the extra fluffy sheep touched down, but they had traveled some distance. Purple wings shimmered in the sunlight. Lavender Cozy fluttered down beside Poppy and the sheep. She looked worried. Since Lavender was a gifted healer, her concerned expression made me fearful. “He’s just fine,” the healer commented, after examining the sheep. “I’m sorry to rush, but I was on the way to a patient. So as long as you weren’t traumatized, I’d best leave,” Lavender told her with a wink. Everyone knew Poppy was not easily rattled, so they both grinned and had a quick hug. Then Lavender darted into the sky. As I watched the scene via what was apparently a gigantic scrying stone, I saw Carver Eastdoor hurry toward Poppy. “Did Bedlam give you the message from my cousin Holly?” Poppy asked him, but her brows knitted in a worried expression as if she already knew the answer. In a jiffy Poppy tied a harness and leash around the powderpuff sheep. The animal’s hooves frequently lifted from the ground. “You need a trim so you won’t be so buoyant,” she told the sheep, who made a plaintive bleat in return. “I’m coming with you!” she called as she hurried to catch up with Carver. I whirled away from the scrying stone. I hadn’t heard anything, but I had the strong sense that someone else was there. Out of the shadows walked a man wearing a bowler hat. At first I thought the hat was decorated by three feathers standing from the band. As he came closer I realized they were not feathers but long, sharp-edged leaves. Nervously I took a step backward. I stopped when I saw his disarming smile, but I didn’t relax. He swept off the bowler had and bowed with a flourish. My mouth moved noiselessly. I didn’t know what to say or whether it was safe to be with the strange fae. The edges of the leaves in his hatband looked sharp enough to cut like a knife. They glinted even in the dim light as he returned the hat to his head. “How do you know my name?” I demanded. Or rather I tried to demand. It came out as a whisper. “As the keeper of the mirror, I pick up a lot of information. Selling it actually makes for a decent livelihood. I’m not that much of a seer, so I have to supplement my income. Oh, don’t look like that. I don’t blackmail anyone or do anything too unscrupulous,” he told me with a twinkle in his eyes and a saucy grin. The huge scrying stone dimmed for a moment before showing Poppy and Carver again. They were at Carver’s home. I watched as he and Poppy spoke briefly with his wife and little daughter. Then they hurried around to the back where Carver had made a huge sheltered work area. “That’s quite a setup,” Poison Ivy Razorleaf commented as he stood beside me watching. I jumped a little. I didn’t realize the fae had stepped that close to me. However, his attention was fixed on the image in the obsidian. His comment surprised me. What did he mean by that? My eyes involuntarily sought a way out of the strange shadowy chamber. “Most intriguing,” he murmured, still looking at the image of Carver and Poppy. Carver disappeared from my view. I saw Poppy waiting before an elaborately designed door. The colors decorating the door stood out brightly in the dull chamber. Surrounding the door was a cloud-like border made of every imaginable candy. Although he was out of view, I heard Carver say the sweets would fly out into the party crowd in a harmless, happy explosion when Holly Songbird came through it. Then he and Poppy had an intense conversation. I couldn’t make out their words, but Poppy looked really worried. Beside me, Poison Ivy Razorleaf rocked back on his heels and grinned in what seemed like anticipation. Finally Carver reappeared. He held a huge copper ax. “Where did you get that relic?” Poppy asked him. “It looks like it was made for chopping more than wood,” she added with a cringe. I couldn’t explain why, but Carver’s words made me shiver. Razorleaf looked at me and chuckled. Then Carver braced himself and swung the massive ax at the beautiful door he had created. “It was nice to meet you, Bedlam Thunder,” Razorleaf said in a sardonic voice. The enormous scrying stone went blank. A sound like the entire world shattering filled my ears. Now, how could Carver Eastdoor think destroying that delicious door could help? However, he knows his faery magic much better than anyone else. Come back next time to learn what happened. New mystery folk revealed in this episode were Hugh Roberts, and Victo Dolore. Please take a look at their wonderful blogs. Until next time, hugs on the wing! Welcome ladies and gentlemen, and magical creatures of all ages! I’m happy you’ve come back to Thistledown. Congratulations to the winners of Sunday’s lightning contest! Annette Rochelle Aben won the faery mug and Lavinia Ross won the Creative Haven adult coloring book. Congrats ladies! I hope everyone will take a moment to visit their blogs. I know that sometimes it can be a challenge for guys to embrace something as “frilly” as this story. So I’m extra appreciative of the men who chose to “come out and play” by naming characters. I posted a faery name chart/game (click here to see it) that gave folks the chance to find their faery names. I did one for “frilly” names and one for “scary” faery names. Maybe I’m old fashioned, but not many of the possible names seemed to be, well… masculine. So when a guy joined the game, often as not, I made up my own name for him. One example is Skypainter Morning — that was the name exchange I made when Kirt Tisdale joined. Thinking of Kirt’s amazing photos and photo-art, an image popped into my mind of a young male fae, winging through the sky, and painting it as he went. Kirt generously allowed me to use some of his photos for episodes involving the Skypainter character. Last time (Episode 3) Bedlam Thunder had a new vision of the dark faery-verse and we met some of the “scary” faeries. Although they actually seemed pretty nice. I’m flying by the seat of my pants, so I’m not sure if the serial will get to this but — I see the “scary faeries” I’ve introduced so far as being a rebellious group with a rather punk-edge. In a world where everything is dull and people don’t tend to wear anything that isn’t black or gray, this group can’t resist a splash of bright color. How will learning about Bedlam’s “sugary” world effect their already mutinous tendencies? Like I said, this serial is spontaneously written, but I’m beginning to wonder when we’re actually going to hear about Bedlam’s main vision that got her (and River Mindshadow too) suspended from school and generally into trouble. However, I think you get the basic idea. Today I introduce Skypainter Morning and his fae talents. This time we also learn about a bit of faery magic (or maybe it’s faery tech) belonging to Tinder Willowtree, a character we met in Episode 1. Without further ado, here’s the next installment of Thistledown — Midsummer Bedlam. The musical sound of happy laughter filled the orchard. Lanterns were arranged and rearranged and lit by the spark of magical peppers. Everyone seemed to enjoy experimenting with the various lights Pepper Stargazer brought. Peaches Dragonfly would surely have the best of all the Midsummer parties. I realized everyone going outside to help with the lanterns was just a pretext. They were giving me time to regain my composure. How could I deserve such kindness? Though I felt like a wretched coward, I quietly slipped away while everyone was occupied by a particularly explosive pepper. Aimless wandering brought me near the reflection pool. The Opal sibs, Moonglow and Stargazer popped up, saw me, and ran down a wooded path. Their fun laughter trailed behind them. I didn’t see anything of interest that the children might have been watching, so I guessed they were playing chase. Then I heard a crash and a splash. A bright flash caused spots to dance before my eyes. Momentarily half blind, I stumbled on a stick. Reflex caused my wings to abruptly unfold when I lost my balance. I cried out as much from fear of hurting my injured wing as from pain. “Woah there! I’m really sorry! Are you okay?” asked a familiar voice. Someone ran from the reflection pool to the place where I wobbled. At least I hadn’t fallen on my wings or on my face. I would settle for a stumbling wobble. A hand reached out and steadied me. I was beginning to see a little more than the spots. “Hi Bedlam. Are you okay. I guess you got caught in the flash. I didn’t expect anyone to be around. I should have set up some kind of warning,” Skypainter Morning apologetically told me. “Something that’s never been done!” Skypainter exclaimed. “You know the reflection pool helps us see visions. So rather than just paint a composition on the clouds, I want to have a real, moving vision reflect onto the sky,” he explained with smiling enthusiasm. He was right. I was sure that had never been done. It hardly seemed possible. However, if anyone could make such a spectacle, it was Skypainter Morning. Sky had pulled me into his experiments that easily. I was fascinated. My mind automatically chased the riddle he presented. “Except for the flash-pepper, all those are plants that help with eyesight. I can understand the symbolic aspect of the magic,” I said and he nodded, looking glad that I had followed his thoughts. “Have you thought about gems instead of plants? Gemstones that are used to enhance scrying or visions? Maybe black onyx? That’s what my grand-uncle used for scrying. Or how phantom quarts helps meditation, or rainbow fluorite increases intuition?” I asked. Abruptly I felt like I had said something stupid. Sky was so expert in his visual creations. I couldn’t possibly have anything to offer. To my surprise, Skypainter’s eyes lit up at the idea. “It wouldn’t be that difficult!” Sky called over his shoulder, hurrying in the direction of his home. As I gazed heavenward, I was surprised to see someone flying past. It looked like my friend, Tinder Willowtree. I had known her for as long as I could remember, and maybe then some, but it had been awhile since I had seen her. However, I knew Willowtree was busy with the visit from her grand-niece and nephew — the Opal siblings. It seemed odd that I had seen the Opal sibs headed in the opposite direction only moments before. I waved and Willowtree gently settled to earth. She had a hopeful look in her eyes. “Have you seen Moonglow and Stargazer? They should be around here somewhere,” Willowtree asked as she repeatedly looked at a plate-sized piece of black obsidian. The children seemed to have a combination of exuberance and curiosity. It had to be difficult to keep up with them. It was ironic that Willowtree should be out trying to find the kids. She had such a talent for bringing people together. Athletes in need of someone to fill a spot on a team, craftsmen wanting an apprentice, musicians looking for partners, they all came to Willowtree. In fact, she was responsible for arranging for Holly Songbird and her group Dragon’s Nest to perform at the Midsummer party Peaches Dragonfly was going to hold. She looked at that unusual piece of black obsidian again. Abruptly a fond smile came to her lips. I asked what it was. The gemstone slice was bright and reflective, but I could tell it wasn’t an ordinary scrying mirror. She handed me the obsidian. Where I expected to see my own reflection, I saw multiple pieces, like a broken mirror. Then the parts started to move and an image melded together. I watched as the Opal sibs quietly entering the back door of their grand-aunt’s house. “In a manner of speaking, but it’s a little more complicated than that, and not always exact,” she explained. “For instance, even though you saw them getting home just now, it didn’t pinpoint where they were here. I would have flown right past if I hadn’t seen you wave. It’s still pretty great though,” she added with a grin. “Naturally it needs a little magic. It also needs whoever I’m looking for to wear a medallion that’s been attuned to the ‘finder’ — otherwise it’s not much more than an ordinary scrying mirror. And that of course, would need the talents of a seer,” Willowtree told me. The finder had gone almost dark. It held a dim view of Fleur standing on their front porch lighting a lantern. My friend’s face became serious as she looked from the obsidian to me. “It only shows me Fleur because of our bond. He’s left the medallions on the children to make sure I could know they’ve gotten home. But you, Bedlam… You have the gift. Even though you don’t think there’s any magic in what you do, you are a seer. I know you wanted the school to bring out another talent in you. And maybe you think there’s no longer any hope for that, since you got suspended before even your freshman term was finished. But that part of your life doesn’t have to be over,” Willowtree told me, but I could tell she hadn’t gotten to her point. “I know your visions come to you unbidden,” she continued. “But I believe you will eventually be able to master them. I’m certain of it,” she stated and smirked at my eye-roll of denial. “Okay, it might take some time. Measure that in years, not weeks. Bedlam you might even be able to do things like this,” she said, holding up the finder. “But if your gift grows the way I believe it will, you won’t need a finder or any other special magic enhanced device. I know it, Bedlam. Whatever else you do or don’t do, you can’t keep believing that your abilities are limited to frightening visions,” she stated emphatically. Willowtree’s forceful words left me speechless. I couldn’t think of a response. After extracting a quick promise from me that we would get together soon, Willowtree zipped into the sky. As I watched her fly away, I suddenly wondered if Skypainter Morning could glean any inspiration from the finder for his moving vision idea. I looked up at the twinkling sky. Soon the stars would be in alignment for Midsummer. An inexplicable chill traveled down my spine. Do you get the feeling that something unexpected might happen with Skypainter Morning’s moving vision creation? I think we’ll eventually come back to that. Be sure to fly back next time because we’ll have a special visit from A Pug in the Kitchen. Until then, mega hugs! Today I’m pleased to introduce you to two pos-i-lutely fantastic guys — Kirt Tisdale and Hank Hertz! It was my great pleasure to be a guest at the Wall Gallery, Kirt’s blog, The Wall Gallery. There you will find his inspiring collection of art and photography. Thanks to Kirt for working with me on this joint post! It’s already live at his blog, so forgive me for another rerun if you’ve already been there. Many of you have already visited there. Thank you so much! If you haven’t already seen this post, thank you as well — for being here. I never managed to move to Arizona in real life, but I had a great virtual visit with Kirt. Let me hand things over to him now. Kirt, the stage is yours. I narrowed it down to Cedar Rapids Barn because this capture of an old dilapidated barn created a visualization of a rural setting and the mystery surrounding the structure (side note: I was driving on the outskirts of Cedar Rapids, Iowa in the heavily wooded hills along the river when I spotted this structure nestled in the trees. Of course I had to stop…hike into the woods and take some shots with my camera). So with that, I would like to turn it over to the star of this visualization, Teagan. What a fantastic introduction! I’m not sure I can live up to it… So I’ll call on Donna Summer to build some excitement first! 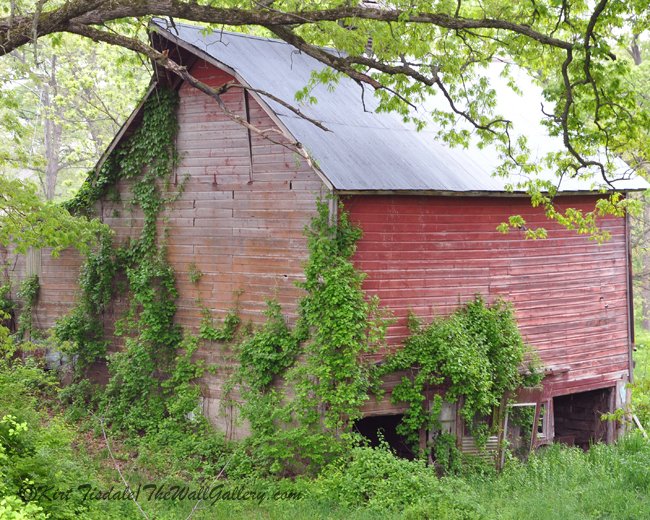 From his wonderful collection, Kirt chose the image above, Cedar Rapids Barn. I let it spontaneously lead me to the story below. Today meet Hank Hertz. This vignette is part of Hank’s backstory. He’s a young man Pip will meet when she is sent to live in Savannah, Georgia with her grandmother. However, this vignette takes place at some point not too long before Pip arrives there, so she is not in this story. And so Savannah’s youngest policeman began his career. If you want to know more about the other characters in Murder at the Bijou, Three Ingredients-I, click here. Thanks for reading. Mega hugs! For once I don’t feel like I’m engaging in shameless self-promotion. I guess that’s because it’s giving me the chance to share with you the wonderful talent of someone else. He shares his work with art, documentary and promotional photography at T&L Photos. If you like to use only WordPress, Tim has POTDE Archives, with links where you can access his main site. Tim created his interpretation of the old graveyard, which is the setting for a couple of key scenes in my novel. Tim’s photography is based in New Mexico. So that is where he found an old cemetery that gives a southwestern perspective of those scenes. Recently Tim added reviews to his blog. He’s also doing great memory-story features he calls Tales from My Youth. I really enjoy those, and I’m sure you will too. So please, follow the links to Tim’s blog and check out his review and photo-art of Atonement, Tennessee. I thought about the layout of the property and realized I was making my way to the graveyard. It would be just like Lilith to cause me to wander around in the dark. Alone. In a cemetery! Naturally I had no idea which way the cat went, and I don’t know why I kept going that direction. However, if something made me feel like going that way, then I knew that was where I should go. So I did. In the fading light it was hard to make out the gravestones that told me I had reached the cemetery. Everything was overgrown. I thought the street should be over and down the hill from that spot. I hoped Lilith didn’t venture that far. Oh great, I thought. Now I was getting even more worried, because I had thought of the street. My heart beat faster still. I raised the kibble box to rattle it again, hopping it would get her attention. Suddenly I stopped. I was sheltered by a big clump of tall bushes of some sort. I thought it might be mountain laurel. I could see the broad side of the mausoleum from there. Shadows lurched violently against the stone crypt. Big shadows. Reflexively I drew back into the concealing vegetation. Then I heard a loud avian-like screech and realized that the shadow shapes might have been wings. My heart hammered. The noise escalated. It definitely sounded like more than one creature was causing that ruckus. Then I heard the cat hiss. I dropped the box of food and ran toward the sounds; ready to use the flashlight as a club, and wishing I had something more effective. “Lilith!” I called. Oh, let’s face it — I screamed. With an electric jump I gasped. The calm kindness of the words did nothing to ease the added fear of knowing there was a person there. A stranger. In the dark. In the graveyard.